For the most part, facelift incisions heal very well and eventually should be undetectable to everyone but your hairdresser. For the frst several weeks after surgery, the scars will be pink and noticeable, but can be covered by makeup and long hair if you have it. After 6-12 months, the incisions fade away to just a pale line. What are the potential risks and side eﬀects of facelift surgery? 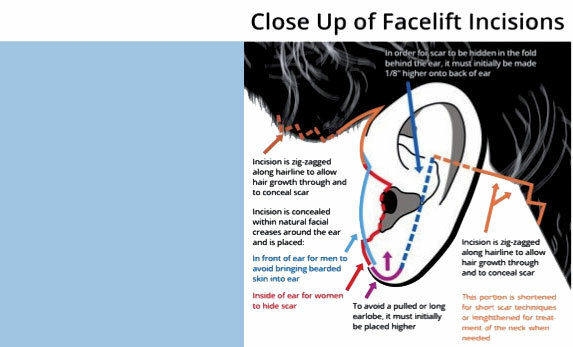 Minimal incision techniques have reduced the risk associated with facelift surgery, however, as with any surgery there is always a degree of risk. Risks include bleeding, facial nerve injury, facial asymmetry, change in ear position and infection - you will be given antibiotics to help prevent this complication. In the event of complication, there is the possibility that revision surgery will be needed, but risk is signifcantly minimised in the hands of a skilled surgeon. In terms of side efects, there will be some pain following surgery but it can be well managed with painkillers. You may experience nausea as a result of the anesthesia. Numbness can be expected in the areas operated on and the ear, which can last for up to a year. Facelift surgery is not a one-size-its-all procedure and you might pay anything from €5,500 to €8,500 depending on the treatment you require. While one person may be unhappy with “baggy eyelids”, another person may be troubled by “saggy jowls” or a “loppy neck”. Therefore, your treatment plan will be tailored to you. For maximum results, your facelift surgery could also include fat transfer to replace lost volume, a chemical peel to resurface your skin and eyelid surgery. Your surgeon will advise which combination of treatments will be necessary to address your speciic concerns. It goes without saying, that facelift surgery should not be scrimped on - your face is, of course, the most important part of your body! You can further slow the clock and maintain the beneits of your facelift by adopting an anti-aging skin care regime, including chemical peels, eating healthily, not smoking and minimising sun exposure. The PAVE-lift is the ultimate in facial lifting, combining a surgical facelift with chemical peeling and fat transfer. The results are incredible. Face lift surgery has progressed to such a point that scars are almost unoticable, and the natural results are among the most advanced in medical aesthetic treatments for skin aging. In this way the results are dramatically enhanced. 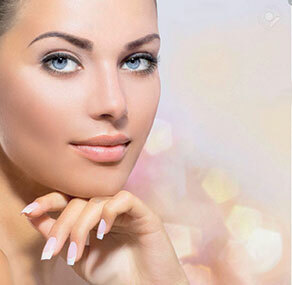 WHAT MAKES PAVE-FACELIFT DIFFERENT OF THE OTHERS PROCEDURES? The injection of the patients own fat brings volumen to the face, illing the zones that have, with passing time, lost density, like the cheeks. It also works very well in illing the small, ine wrinkles under the eyes. Some patients also choose fat grafting to augment their lips in the same surgery. a guide for plastic surgeons to ideal mid-face proportions. after running a search for “beautiful young woman not smiling”. statistically signiicant in terms of attractiveness. measurements from the women’s faces (see below). The overall conclusion from the study was that a heart-shaped face, with broad cheekbones and a narrow chin, was the most attractive. This face shape can be seen on celebrities like Reese Witherspoon, Jennifer Love Hewitt and Eva Longoria. Writing in the journal, lead author Dr Gary Linkov, says: “The notion of ‘mathematical beauty’ implies the existence of ideal facial contours, dimensions, and ratios that, when present, create a harmonious, balanced, and attractive face. Although some measurements recorded in the study - such as the distance between the eyes - cannot be cosmetically altered, others can be manipulated with injectable iller or fat transfer. Cheeks, in particular, lose volume with age. This can be restored with fat or iller in order to give a fuller, more youthful looking face. One inding of the study was that cheekbones should be as wide as eyebrows for maximum attractiveness - augmenting the volume in the cheeks can help to achieve this appearance. Do you have a perfect pout? the size of the top one. Researchers at the University of California in America asked groups of men and women to assess the attractiveness of 160 pictures of white women’s faces. They found that a 1:2 ratio of upper to lower lip was considered the most attractive by both sexes. Ideally, the lips should make up about 10% of the lower third of the face. For those considering lip fillers, these indings should be adhered to in order to preserve a natural look. If you’ve ever seen someone with “fake” looking lips it’s because they’ve broken the golden rules of ratio and proportion. Women who increase the size of their lips by more than 50% risk leaving their face looking out of proportion. Meanwhile, those who overill their upper lip will create an artiicial, “duckbill” appearance. To be considered truly attractive, lips must not only be full, but also shapely. As one London-based doctor, Dr Tijion Esho, points out, the 1:2 ratio should not extend the entire width of the lips. The perfect lips will have a 1:1 ratio in the outer corners - plus an accentuated philtrum, or Cupid’s bow. To create a really sensual look, the bottom lip should be plump in the centre while the top lip should be “dipped low” in the middle, like can be seen in Angelina Jolie’s famous pout. The shape can be achieved during lip augmentation by careful placement of small droplets of lip filler. with more than 1000 successful completed cases. surgical extractions and gingival plastic. The Endermology technique is based on 30 years experience in skin firming,l ocalized fat reducing, and smoothing cellulite by Remodulation of collagen fibres. LPG also offers pre and post surgery facial treatments to refine, firm and reduce wrinkles and folds. This device offers 4 hand-pieces for a combined vacuum/radiofrequency treatment of the face and body to achieve excellent results by stimulating collagen and elastin production. It is used to achieve firmer, smoother skin and eliminate localised fat deposits without surgery. If you have sagging jowls, a sagging neck or deep wrinkles that are making you look old, a facelift can help turn back the clock. Here at Ocean Clinic Marbella, we have performed hundreds of facelift procedures on both men and women and the surgery has high satisfaction levels. Fillers and fat transfer can address light wrinkles and hollows caused by loss of volume, but they cannot address skin or muscle laxity. If you have any sagging skin or deeper wrinkles, such as nasolabial folds, fller alone will not provide satisfactory results. 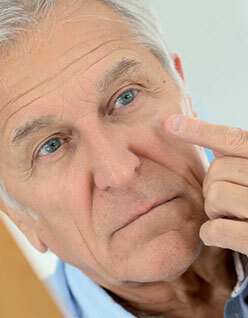 Everyone ages at diﬀerent rates, so a younger person could well be a good candidate for facelift surgery. This is especially true for patients who have lost a considerable amount of weight and have been left with sagging facial skin. Since facelift is a highly customised procedure, your plastic surgeon should be able to tailor a treatment plan to ft your exact specifcations. Downtime for facelift surgery is two weeks and it is recommended you take this time oﬀ work if you don’t want people to know you’ve had surgery. Although you may feel fairly normal after a few days and able to go about your business, your face will still be bruised and swollen. The awards, organised by Global Health and Pharma Magazine, seek to recognise irms and organisations developing new and innovative ways to deliver healthcare around the world. Ocean Clinic’s founder Doctor Kai Kaye is well known in the plastic surgery industry for pioneering new techniques including the PAVE-Lift facelift and is regularly invited to lecture to peers at medical meetings globally. In June, Dr. Kaye and his team organised the second annual Marbella International Plastic Surgery Summer School (MIPSS), sharing insight with 110 specialists from 20 countries. The event included live surgery, performed at Ocean Clinic and livestreamed into the conference hall at H10 Andalucia Plaza Hotel. Dr Kaye said: “We are always looking for ways to enhance our treatments with new techniques and technology in order to achieve the best possible results for our patients. Since we won the GHP award last year, we have been inding new ways to work with water-jets. We now use water-jets as part of facelift, liposuction and fat transfer procedures. Water-jets reduce trauma to the soft tissues, which means better results and faster healing. Another innovation now available at Ocean Clinic Marbella is the Crisalix Virtual Reality headset, enabling patients to “try on” a large range of face, breast and body procedures before going under the knife. Ocean Clinic is one of the irst clinics on the Costa del Sol to ofer this advanced facility. PIONEERED BY PLASTIC SURGEON DR KAYE, THE PAVE-FACELIFT COMBINES A RANGE OF SURGICAL AND NON-SURGICAL PROCEDURES, SUCH AS LIPOSUCTION, CHEMICAL SKIN PEELING AND FAT GRAFTING. The combination of facelift surgery with a chemical peel completes and improves the inal results. In addition to tightening the skin, the chemical peel eliminates the supericial layers of the dermis, correcting marks, wrinkles and old scars. The controlled exfoliating action permits deep regeneration of the skin, helping it to recover tone and texture. In a conventional lifting normally 3 sutures are used, but sometimes the skin of the neck does not become as lifted and tensed as desired. PAVE facelift uses 4 sutures, one of them directly under the chin, that maintains the tension and tautness of the skin of the neck, eliminating the Platysmal bands, which are the vertical bands that appear with old age. Liposuction of the underchin area is performed to deine and contour the chin and jawline, leaving a very harmonious result. «PAVE-LIFT IS IDEAL FOR THOSE PACIENTS THAT WANT TO STOP THE SIGNS OF AGING, AND ENJOY A MORE YOUTHFUL APPEARANCE, WITH A BRIGHT, SMOOTH SKIN. Why are full lips attractive? Just like a high hip-to-waist ratio in a woman signals strong mating potential, full lips are also thought to indicate fertility. This is because lips lose volume and narrow as women age, therefore full lips are associated with youthfulness. Maximum lip thickness is reached in girls at age 14, from which point they gradually decrease in size. Additionally full lips are linked to sexual arousal. Lips, like other sexual organs, engorge with blood leading to increased fullness and redness. The efect is mimicked by lipstick, which is why women have been painting their lips for centuries (dating back to the Ancient Egyptians). A study, carried out at Manchester University in the UK, found a woman’s lips are the most attractive part of her body - especially if she’s wearing lipstick. The study involved tracking the eye movements of 50 men as they were presented with images of diferent women. When the women wore lipstick, the men gazed at their lips for an average of seven seconds – spending just 0.95 seconds looking at their eyes and 0.85 seconds studying their hair. Red lipstick held them captivated for the longest time - an average of 7.3 seconds. How do your lips measure up? Despite the identiication of the “perfect” measurements for lips, those with lips that don’t meet the criteria should not despair. As the researchers from the University of California point out, the overall attractiveness of a face comes from more than the lips. Looking at models in Vogue over the past 50 years, they found, on average, the women did not meet the 1:2 ratio, instead having bottom lips only 47% larger than the top. In addition, the study at Manchester University found while full lips were deemed to be the most attractive, the appeal of thin lips increased by more than 40% after lipstick had been applied. It just goes to show, with a lattering lipstick, it’s easy to make the most of what you’ve got! However, if you’d like to enhance your lip size or shape, modern illers ofer a good option. New formulations that last longer and look more natural, combined with a greater understanding of lip aesthetics and advanced surgical techniques, mean a beautiful pout can be yours. Before any facial non invasive treatment its ideal to start with a deep cleanse of the skin, followed by special hydration to restore skin moisture levels and nutrients lost day to day and to obtain better results from any further treatments. During this treatment micro punctures are delivered to the skin using a special pen resulting in a regeneration of the collagen and other elastic fibres of the cutis of the face or body. At the same time intradermal injections of vitamins according to the need of each persons skin type can be delivered with the pen. It is used as well to Enhance the appearance of scars, acne marks, expression lines etc. These peels work on the upper skin layer called epidermis. By improving brightness and skin tone without a long downtime or visible treatment marks they are ideal to be performed before an important event to enhance the facial appearance.